Filed to: Really Though?Filed to: Really Though? 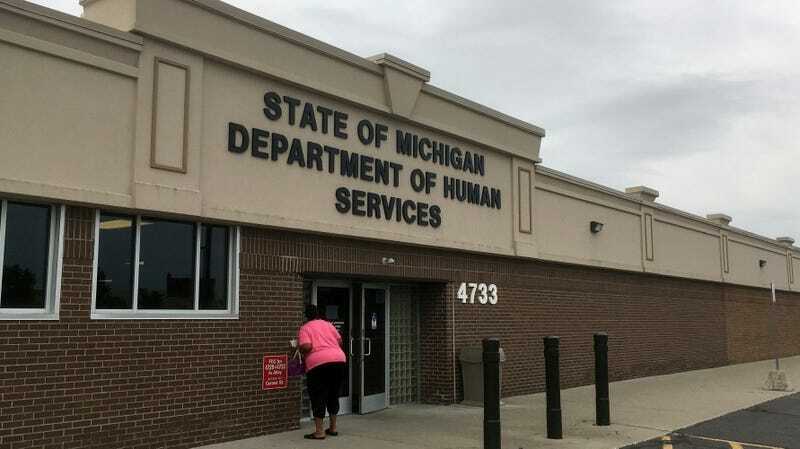 A Michigan Department of Health and Human Services office in Detroit. At the height of the water crisis in Flint, Michigan, 12 people died. A couple studies earlier this year concluded that the water switch that resulted in lead contamination of the water supply also caused an outbreak of Legionnaires disease. Now, some officials at the state level disagree. Rather than taking responsibility, the Michigan Department of Health and Human Services is now pinning these deaths on a local Flint hospital—just as the court trial against some of the department’s top execs is nearing the end. You see, Attorney General Bill Schuette launched a case in 2016 against those who contributed to the water crisis that exposed a city of nearly 100,000 to severe levels of lead in their drinking water. Some of the biggest names include Chief Medical Executive Eden Wells and health department Director Nick Lyons, both of whom face involuntary manslaughter charges for the deaths from Legionnaires disease, an extreme form of pneumonia. The pair of studies found that the Legionella bacteria that cause the disease likely grew from a lack of chlorine in the water. But apparently, the state department has found that the McLaren Flint Hospital was the “only one common [exposure] source” in its assessment of the Legionnaires outbreak. The department also tried to argue that the number of cases of Legionnaires has increased nationwide, and that these deaths were basically in line with the national trend. Even if it’s true that hospital was where people were exposed to the bacteria, it still would’ve come from the facility’s plumbing and water. The hospital didn’t decide to switch its water source and then fail to properly treat the new water. That’s all on state and city officials. And the hospital wants to make that clear. We find the timing of the state’s release today to be an interesting coincidence as the first phase of the criminal proceedings against (Michigan Department of Health and Human Services) leadership winds down. Initial review of the report reveals no new information regarding our community’s epidemic of Legionnaires’ disease in 2014 and 2015, but reflects the state’s normal pattern of attempting to shift liability away from those criminally charged. Those two peer-reviewed studies from earlier this year aren’t the only ones that pinned the outbreak on the state’s decision to shift its water source. Last year, the Centers for Disease Control and Prevention also found a link between the city water and the Legionnaires. Given that the criminal trials are almost over, it’s unclear if the state’s new arguments will make their way into the case. If they do, they could be the last hope for the state execs who face up to 15 years behind bars. You know what they say: If you do the crime, you best be ready to do the time.